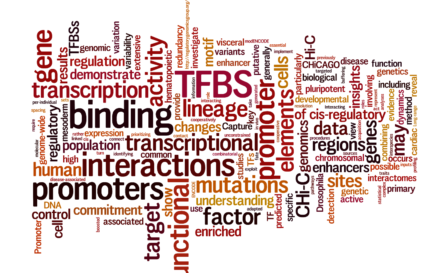 Welcome to Functional Gene Control Group! We study the logic of gene regulation using a combination of experimental and computational approaches. Our favourite experimental models are human primary and stem cells. We are based at MRC London Institute of Medical Sciences, part of Imperial College Institute of Clinical Sciences. Before July 2018, our main base had been at the Babraham Institute in Cambridge. Several group members are still based there, and Mikhail is currently an Affiliated Researcher at the institute. We are interested in how genomic and epigenetic information is integrated with extrinsic signals to promote concerted changes in gene expression. We aim to decipher the ground rules of gene regulation and establish their functional interplay in biological phenomena involving global changes in phenotype, such as in cell differentiation and activation. Our current focus is on the role of non-coding DNA elements such as enhancers in integrating and transmitting gene regulatory information. Located in West London, MRC London Institute of Medical Sciences is a fantastic place to do basic research with clinical implications. We are affiliated with Epigenetics and Integrative Biology sections, sharing an open-plan space in the new ICTEM building with other experimental and computational groups. MRC LMS is part of Imperial College’s Institute of Clinical Sciences (ICS) and is based on the Hammersmith Hospital campus, opening up many exciting opportunities for collaborations across disciplines.